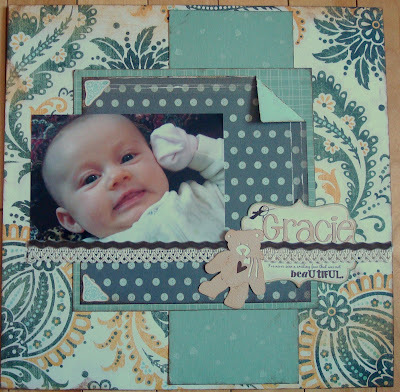 Just thought I'd show a few new layouts for Gracie's album. This is one of my favourites. I mixed up a bunch of old and new supplies and I like how it turned out. The teddy bear and the title are cut with the cricut cartridge Brad got me for Christmas. 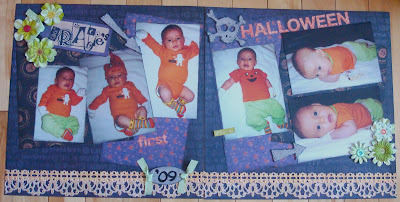 Just another Gracie layout. 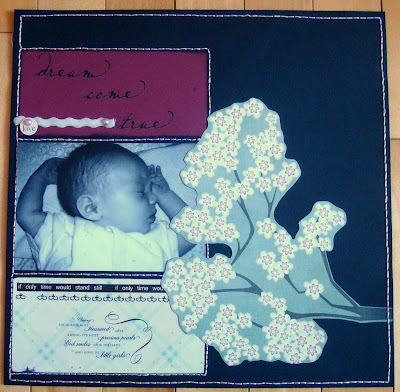 I loved the blossom paper when I saw it.